The Blues Foundation has announced the nominations for its annual Blues Music Awards, which the international organisation will present at the Cook Convention Center in downtown Memphis, Tennessee, on Thursday, May 7, 2015. Leading with six nominations each are Elvin Bishop, John Németh and Sugar Ray Norcia. Veteran slide guitarist Bishop’s Can’t Even Do Wrong Right CD and its humorous title track secured three nominations and propelled him to additional artist, entertainer and band nominations. 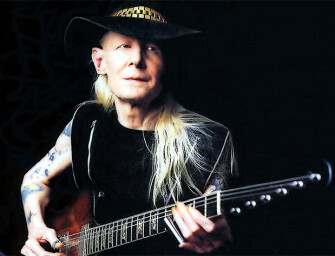 Johnny Winter, who recently passed away, has been nominated in the Rock Blues Album category for his final studio album, Step Back. A ballot will be soon be sent to all Blues Foundation members who will vote on which nominees will actually take home the Blues Music Award in May. Tickets for the Award show are now on sale at The Blues Store at www.blues.org.